But gaps remain and a costly bias to Vivitrol, the most expensive and least proven treatment, remains strong. 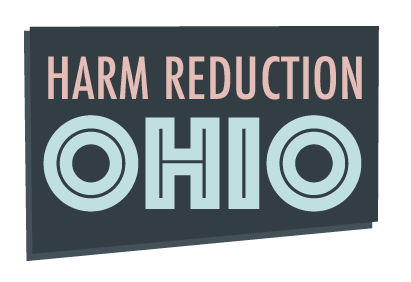 Harm Reduction Ohio will host the “Ohio Meet Up” for Ohio residents, natives and friends interested in harm reduction in the Buckeye State. HRO will co-sponsor the two-day event with the Ohio state University College of Public Health, Equitas Health and the Harm Reduction Coalition. The program is aimed at health departments and community organizations involved in syringe programs or interested in starting them. Dylan Stanley, a brilliant and dynamic speaker, joins Harm Reduction Ohio as director of community outreach. Dylan is available to speak about harm reduction topics such as ending stigma and understanding the perspective of people who use drugs. She’ll stimulate your mind and light up the room. Darke County, near Dayton, is the 18th Ohio county to start a syringe program. The number of “needle exchanges” in Ohio is growing rapidly, helping to reduce HIV, hepatitis and overdose death among IV drug users. Volunteer information coordinator Victoria Shields will research and write the informative, to-the-point publications based on Ohio rules and aimed at an Ohio audience. Great list of speakers to appear at Sept. 27-28 conference on how harm reduction and smart use of evidence can reduce overdose death in Ohio. A few tickets remain for the Sept. 15 gathering in Granville, near Columbus. The event is for harm reduction advocates, especially volunteers, and those interested in getting involved. See the agenda. Professor Bill Miller finds that a little help plus medication-assisted treatment can add years to the survival of people who have inject drugs and have HIV. Miller speaks next week at HRO event on syringe exchange programs. Tracey Kemper-Hermann, a harm reduction innovator who distributes naloxone directly to drug users, becomes Harm Reduction Ohio’s Ross County Director. A complete list of Ohio events for International Overdose Awareness Day. More than 25 Ohio communities are having events. A “needle exchange” in Newark, Ohio? Harm Reduction Ohio invites the community to ask tough questions to an expert panel on Sept. 12 at the local library. Harm reduction consultant Tino Fuentes, who’s spending a week in Ohio as a guest of Harm Reduction Ohio, made a video with us explaining how to use fentanyl test strips. HRO’s most popular story, by far, tells readers the share of the cocaine supply that has fentanyl and carfentanil in it. What does this reader demand for information that tell us? Ohio’s Unequal Epidemic: Where overdose death rates are highest and lowest? Some Ohio cities have surprisingly low overdose death rates. Some rural areas have suffered a shockingly high death toll. Two maps tell the story. For the first time, every county suffered at least one overdose death. (Cuyahoga suffered 598.) Statewide, deaths were up 20%. A county-by-county look. Reporters unwisely adopt the language and assumptions of law enforcement. This distorts coverage and misleads readers about basic facts and what’s important. To paraphrase a line from the newspaper movie “Absence of Malice,” daily journalism’s coverage of drugs is often accurate — but not true. Carfentanil is too common and too powerful for Ohio to continue to use low-dose naloxone. The state must start using only FDA-approved naloxone devices (which carry much higher doses) to treat opioid overdoses. Carfentanil has devastated Ohio — but not other states. Why did the powerful opioid kill 1,100 in just 12 months here…but not elsewhere? Ohio’s carfentanil death toll is shocking and heartbreaking.